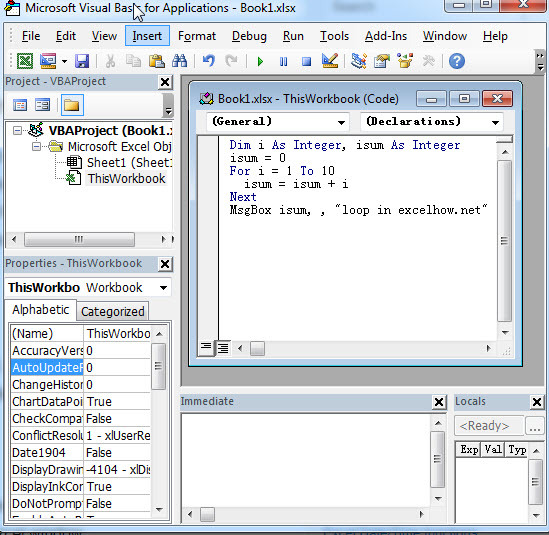 VBA is an event-drieven programming language in Microsoft Excel. 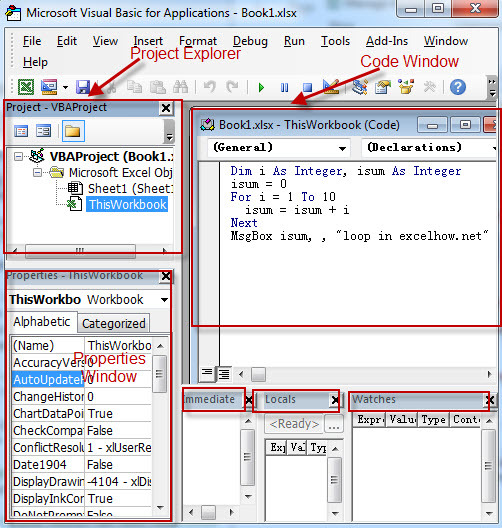 The below screenshot is the window of VBA (Visual Basic for Applications), this VBA environment can be used to develop VBA program. 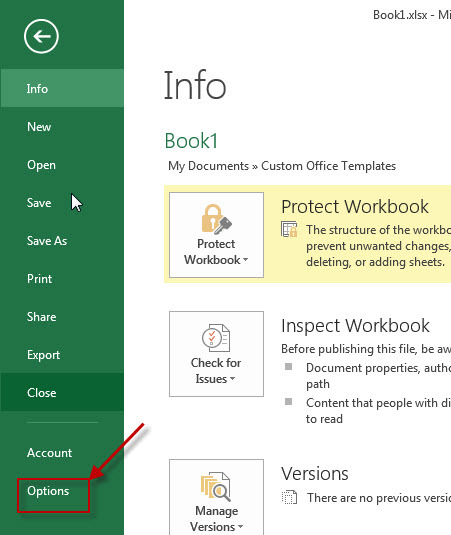 1# clicking the “File” menu and then click “Options” from the drop down list. 2# The “Excel Options” window will appear. 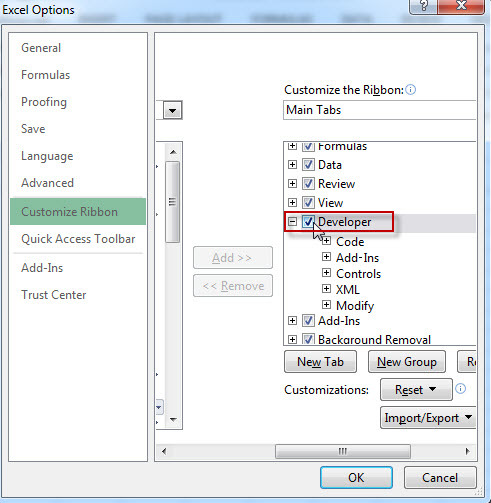 3# click on the “Customize Ribbon” on the left of “Excel Options” window. Then enable “Developer” checkbox under “Main Tabs” section. 4# now you will find that the “DEVELOPER” Tab in the Ribbon. 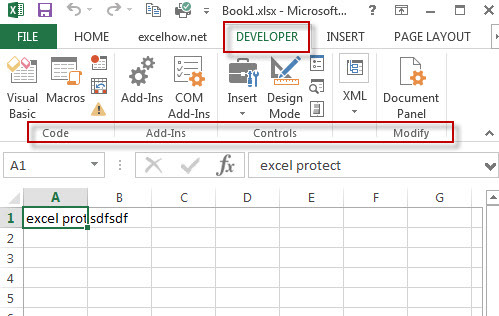 And there are five groups under “Developer” tab, such as: Code, Add_ins, Controls, XML and Modify groups. The Visual Basic Editor is the VBA environment, the below steps will guide you how to open the visual basic for applications window in excel. 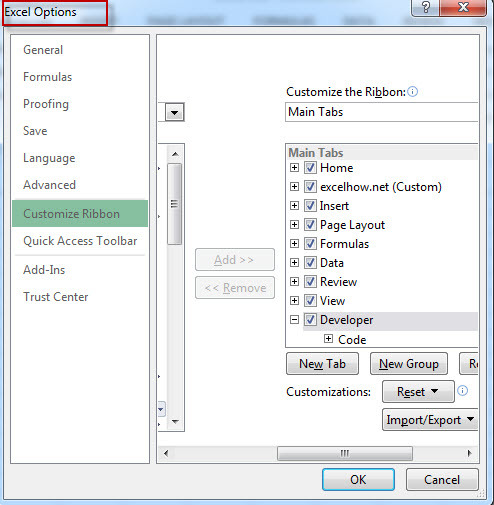 2# click “DEVELOPER” Tab, then click “Visual Basic” button in “Code” group. 3# let’s see that the Visual Basic Editor will appear. 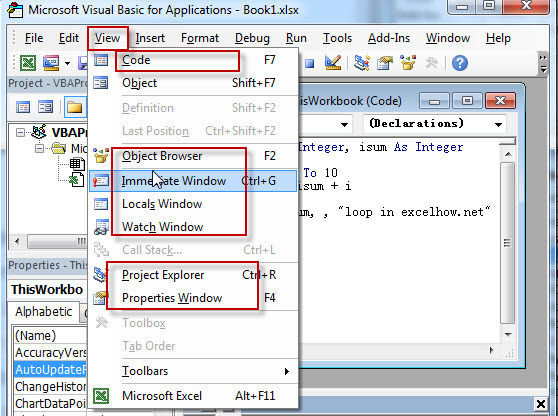 This section will show you some useful windows in visual Basic editor, such as: Project Explorer, Properties Window, Code Window, Immediate window and Watch Window. To display the corresponding Window, you just need to click “View” menu and then click the windows option from the drop down list.